Practical Shotgun (PSG) is a dynamic and exciting shooting discipline which involves fire and movement. 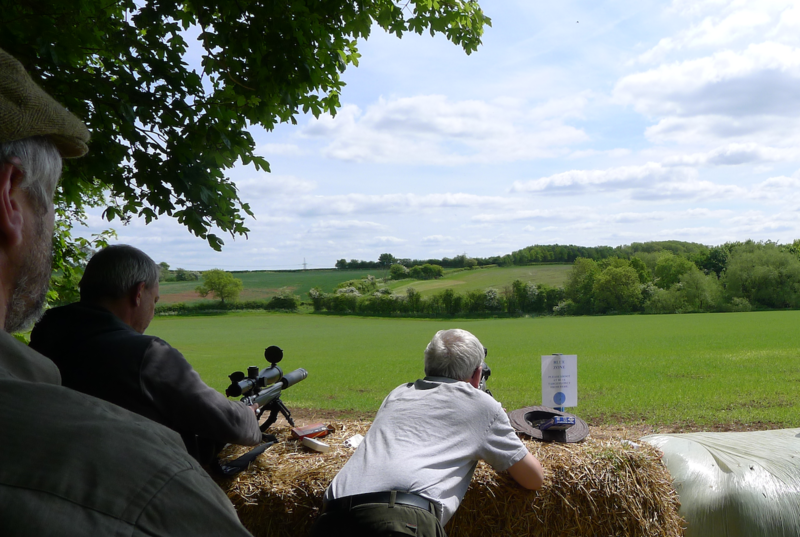 This form of shooting is administrated and overseen by The United Kingdom Practical Shooting Association or UKPSA which is the UK region of The International Practical Shooting Confederation (IPSC). They ensure that a recognised and standardised training and competition structure is implemented. Any shooter who wishes to enter Practical Shooting competitions at any level higher than a club competition must have passed the Basic Safety Course and gained a competition license. This involves a two day training course and assessment by a UKPSA qualified instructor. The association has been running since 1977 and has maintained a perfect safety record because of the training and rigid safety processes they adopt. Predominantly shooting at reactive steel targets at distances up to 50m the shooter is accompanied by a Range Officer who times the run. A score is then awarded for targets hit and the score is then divided by the time taken to complete the exercise to give an overall score. Because of the timed element of the competition and the number of targets that can make up a course of fire, Section 1 Shotguns are used by the majority of shooters. These are shotguns, either semi-automatic or pump-action, which have an overall capacity of more than three rounds (normally 9 cartridges in a standard gun, 12 in some cases and in the case of box magazine fed Saiga’s up to 20). These guns are classed as Firearms and not shotguns and so the holder must have an FAC with provision. You cannot hold a Section 1 shotgun on a standard shotgun licence. Various types of ammunition are used in PSG. Normally birdshot for steel targets however paper targets may be used which involve either Buckshot or Solid slug ammunition to score. The courses of fire may involve barricades, obstacles and vision screens to challenge the shooter and make targets more difficult to hit by making the shooter adopt unnatural shooting stances and positions. Unfortunately, at the moment, due to a technicality in the guidance to police issued by the Home Office, a Section 1 shotgun may not be lent to another individual even if that individual is a full club member and holds an FAC. Nor can a club hold a Section 1 shotgun for use by its members. If you wish try out the shooting discipline then you may borrow and use a Section 2 gun. (Normal shotgun). A normal course of fire will include steel plates, “shoot/no shoot” targets, most targets will be engaged from a range of 5 to 25 metres. Targets will be engaged from a variety of positions including prone, sitting, crouching/squatting, kneeling and standing. The idea is to engage the target(s) from different positions in the shortest possible time. This does involve movement although moving and firing at the same time (taking more than one pace) is forbidden. It is down to the individual skill of the shooter on how to approach the targets, which to engage, where and when within the safety arcs. Competitors will normally start either in a fully loaded and chambered condition with the safety on or the firearm may be empty; it depends on the competition/course of fire. Commonly, competitors will use semi-auto or pump action shot guns with magazines containing between seven and fourteen rounds (Section 1 shotguns). Section 2 shotguns can be used but, because of the limited magazine capacity, they are at a disadvantage.